Experimental work using a pencil drawing of a dead rose bush root and cut branches whose form inspired the addition of imaginary body forms suggested by the shapes in the original drawing. 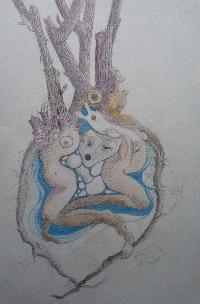 Also images drawn from collected stones. 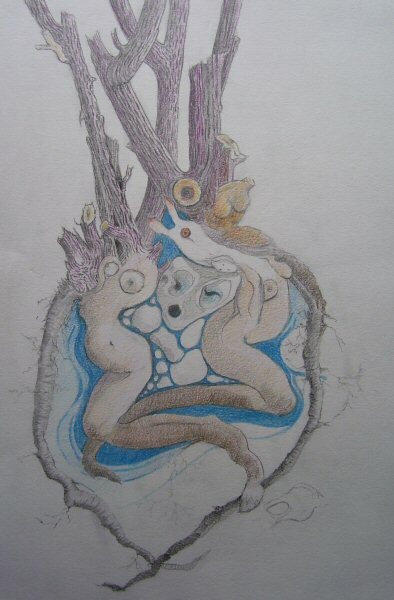 Worked in coloured and graphite pencils to be used as material for a future painting.